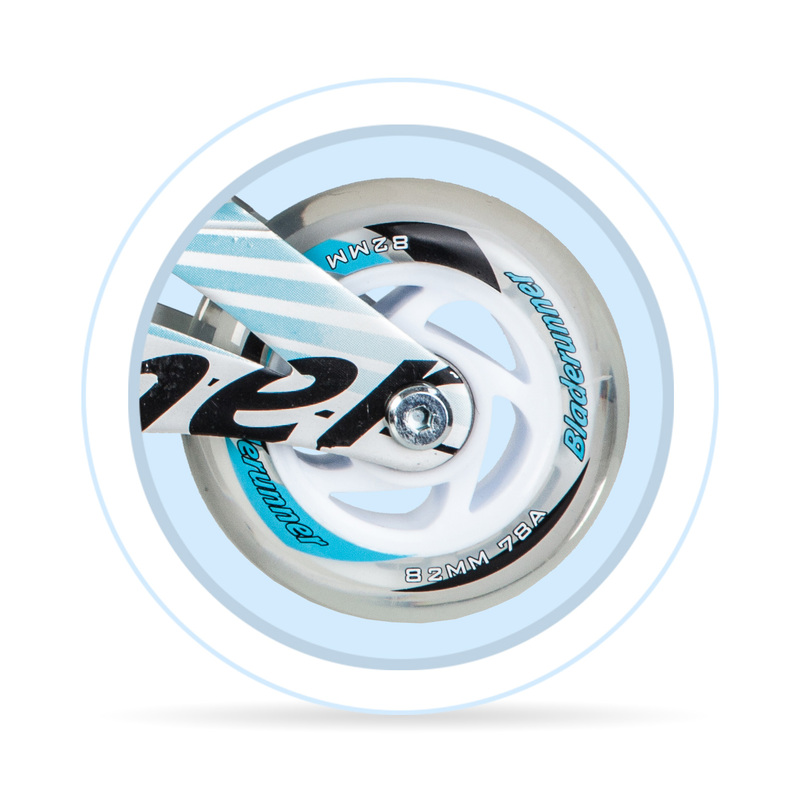 Wheels that you find in modern inline skates are manufactured from polyurethane. Seldom will you find wheels made of any other material, unlike decades ago when inline skating began its emergence. Many skates manufactured in the 1980s and 1990s had plastic wheels, which were ineffective and cracked easily. One of the most notable things about inline skate wheels is that they are available in a variety of sizes, shapes, and hardness ratings (Durometers). Inline wheel sizing is measured by diameter and stated in millimeters (mm). Wheel diameters will vary in size from very small (57 mm or below), to very large (up to 100 mm). The variances exist due to the different types of skates that are available. Very large wheels are most commonly found on racing skates because larger wheels allow for higher speeds. Smaller wheels on the other hand offer faster acceleration and deceleration, they are suitable for beginners and casual users. 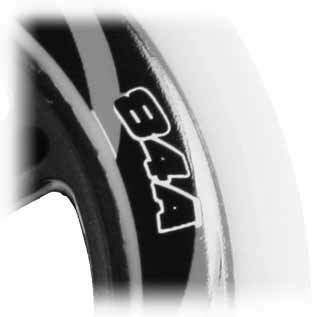 Inline skate wheels are measured in "A" units. Generally, a higher number value indicates that a wheel is rated higher on the hardness scale. Harder in-line wheels are faster but provide a less comfortable ride on uneven ground and they'll absorb even less shock. On the other hand, they're more durable and therefore will last longer and wear less. Softer in-line wheels are slower but offer a more comfortable ride. With softness you'll have to account for a shorter lifespan and decreased durability. The desired hardness also depends on the type of inline skates. It is recommended that wheels are regularly rotated so that they are worn down evenly. 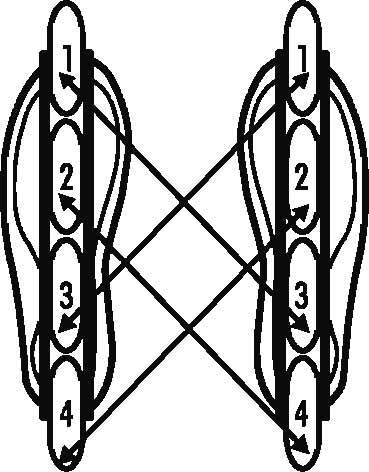 Swap the wheels in positions 1 and 3 and also the wheels in positions 2 and 4.